Fish passage and habitat along the River Teise in Kent has been boosted. River Teise after Harper's Weir near Goudhurst has been removed. Fish passage and habitat along the River Teise in Kent has been boosted thanks to a joint project by the Environment Agency, the South East Rivers Trust and the Kent High Weald Partnership. Harper’s Weir near Goudhurst has been removed in the £30,000 project, which was funded through Defra’s Catchment Partnership Action Fund. 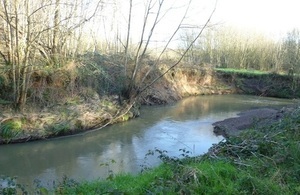 River Teise before Harper's Weir near Goudhurst has been removed. The project has been led by the South East Rivers Trust, with input from the Environment Agency and the Kent High Weald Partnership. The project also received support from the landowner, Teise Anglers and Owners Association and Teise Catchment Improvement Group. The weir was the first to be removed by the Medway Catchment Partnership. Its removal has improved fish passage and increased biodiversity in the area. 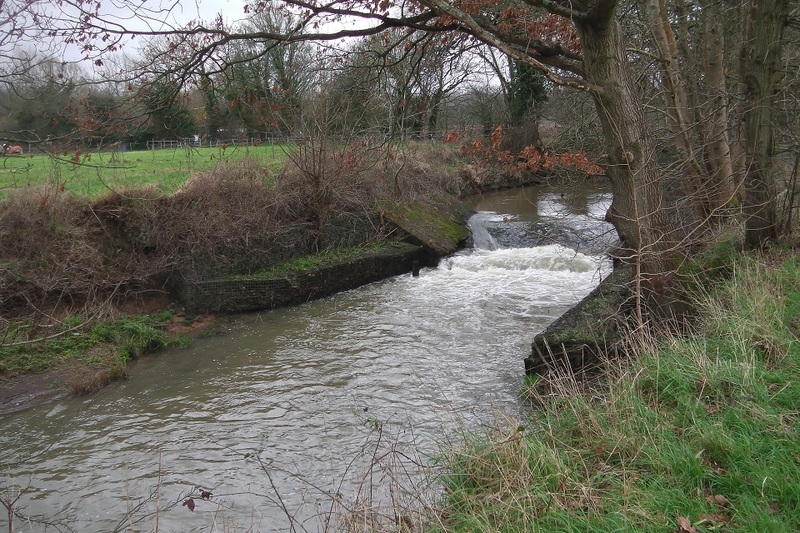 The weir also prevented the movement of gravels, which are a vital habitat, downstream, so now the surrounding habitat for species such as trout has been greatly improved. This is the first of many weirs to be removed from the Medway catchment and it means that the river will behave more naturally, as well as improving fish passage and important habitat for the local wildlife. This is an extremely exciting project and we have been working closely with many partners including the Medway Catchment Partnership, Environment Agency, Teise Anglers’ and Owners’ Association and the landowner on the weir removal and river restoration. After the weir is fully removed we will allow the river to settle down for a couple of months and then begin a programme of habitat enhancement works. These will ensure the river is improved for fish, wildlife and angling’. Removing the weir fully will be a step towards meeting Water Framework Directive (WFD) objectives and will reconnect the river upstream and downstream. The Water Framework is a European Directive which requires us to do work to improve our local waters for people and wildlife, by working with local organisations and communities. 19 February 2016 New photos showing the river before and after the weir removal.